The biggest US vehicle maker General Motors and the fourth largest South Korean automaker SsangYong are to suspend deliveries to Russia, saying they are “changing the business model” in the country to adjust to the falling ruble. The carmakers have their biggest production facilities outside of Russia have reached a point where they can no longer withstand the losses from the falling ruble. The Russian currency has lost nearly half of its value since mid-2014, which has meant a hike in prices for imported cars, and losses for the manufacturers. SsangYong will temporarily suspend car production in Russia until the currency stabilizes, Reuters reports Thursday, adding that vehicle shipments to Russia were halted in January. Russian auto maker Sollers has temporarily suspended orders of new SsangYong kits for assembly in the country. However, the South Korean manufacturer is not leaving the Russian market, Deputy Director General of Sollers Zoya Kaika told RIA Novosti. "SsangYong isn’t leaving the market. The dealer network has things to sell, and the factory has things to produce," she said. In 2013, Russia was the largest market for SsangYong, but in 2014 sales fell by 41 percent. The company has no plans to resume deliveries to Russia until the ruble starts recovering according to the Korea Association of Automobile Manufacturers (KAAM). In January and February sales of SsangYong cars in Russia fell by 61 percent to 1,294 cars says Reuters referring to the Association of European Businesses (AEB). Russia has been going through a crisis in the automotive industry for months. Sales of imported motor cars decreased by 37.9 percent in February, to 128,298 thousand vehicles, according to the AEB. Other South Korean car makers including Hyundai, Kia, and GM's South Korean Chevrolet unit, have also reduced sales to Russia in 2015, according to KAAM. 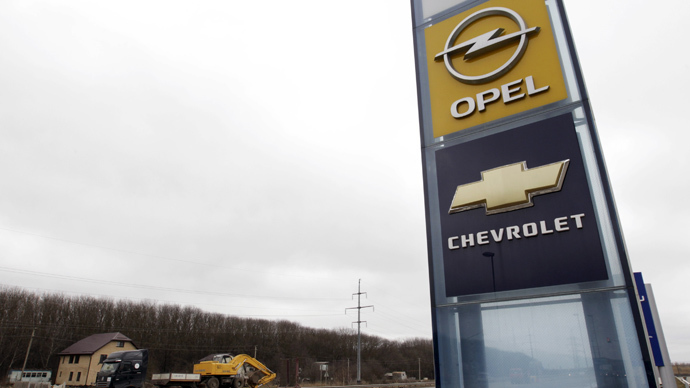 US car producer General Motors announced Wednesday its Opel brand is leaving the Russian market along with the greater part of Chevrolet models. The group will only sell premium segment vehicles such as Cadillac and Chevrolet. The company also says it will indefinitely idle the GM factory in St. Petersburg, as well as suspend contract assembly at the facilities of the Russian GAZ Group. The market has been unkind to GM with demand for Chevrolet falling by 71 percent, to 6305 vehicles, and Opel sinking 82 percent, to 1985 vehicles, in the first two months of the year. However, GAZ Group said Thursday it hadn’t received any notice from GM on the termination of the project and will continue producing the Chevrolet Aveo under the contract terminates at the end of 2016. The company does not have the "appropriate localization level for important vehicles built in Russia," and the economic environment does not justify the investments, said Opel Group CEO Karl-Thomas Neumann in a company press release Wednesday. Kremlin spokesperson Dmitry Peskov said the decision was regretful but added that “there can be no vacuum in the market. If one company leaves, another one immediately fills the gap." GM has put itself in a “short-end” at a time when the market enters a phase of revitalization, said Peskov assuring that soon the drop in sales is going to be replaced by rapid growth. "And then, unfortunately, this company will be among the losers," he said. At the same time Ford of the US, and Germany’s Volkswagen said they won’t reduce investment in projects in Russia despite the crisis. 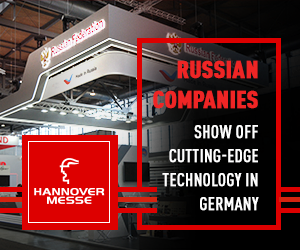 "Volkswagen Group Rus is consistently implementing its investment program for the Russian market. In the second quarter 2015 we will open a central warehouse for spare parts and accessories in Chekhov. In the second half of 2015 we will open an engine plant in Kaluga," Volkswagen said quoted by TASS. Ford told TASS that the company continues to work according to a plan, launching new models and a new engine plant. Ford works in partnership with Russian manufacturer Sollers. The joint company of Sollers and Ford has three production facilities in Russia. Their joint investment was estimated to be worth $900 million in 2014-2015.